Detailed guide to Fortune Confidant. We will be updating this as we go along. 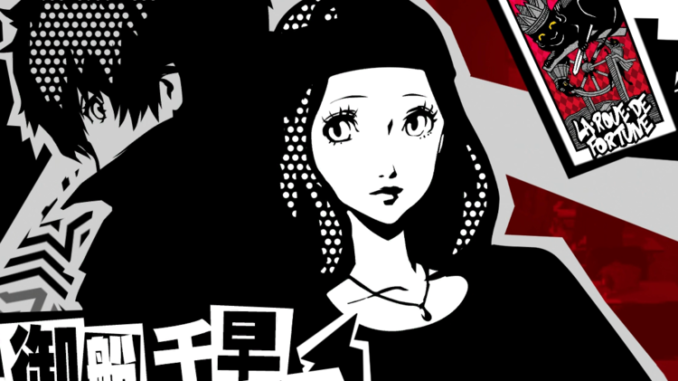 Chihaya Mifune is the Fortune Arcana for Persona 5. She's a fortune-teller the protagonist comes across in the game. She stays around Shibuya. This is a Persona 5 fortune confidant guide for the Fortune Arcana. For other confidant guides, head over to the Persona 5 top page. Chihaya is a cheerful fortune teller found in Shinjuku at night. When she was younger, she was often discriminated against due to her infallible ability to see the future. You can meet her in Shinjuku on 6/22 onwards. Head to the booth on the east side of Shinjuku and ask for a prediction. 1 Better Fortune Get more experience in a stat when doing an activity that would increase it. 3 Economic Fortune Winning fights through normal attacks can give higher rewards. 5 Fate Fortune Can see a portion of a co-op ability’s effects. 7 Compatibility Fortune Can get a fortune reading that will increase affinity with a Confidant of choice. Report after clearing the Mission. Confidant Relationship Rank 1. Simply wish to say your article is as astounding. The clearness in your post is just great and i can assume you are a professional on this subject. Fine along with your permission let me to grab your feed to stay updated with impending post. Thanks 1,000,000 and please carry on the enjoyable work. There is a typo here… Says she the “Death” arcana. But she is the “Fortune” Arcana!!! Oh dear, thanks for letting us know. We’ll fix it. ??? ?